I gave the first performance on November 18, 1982 at the Folger Shakespeare Library in Washington DC. 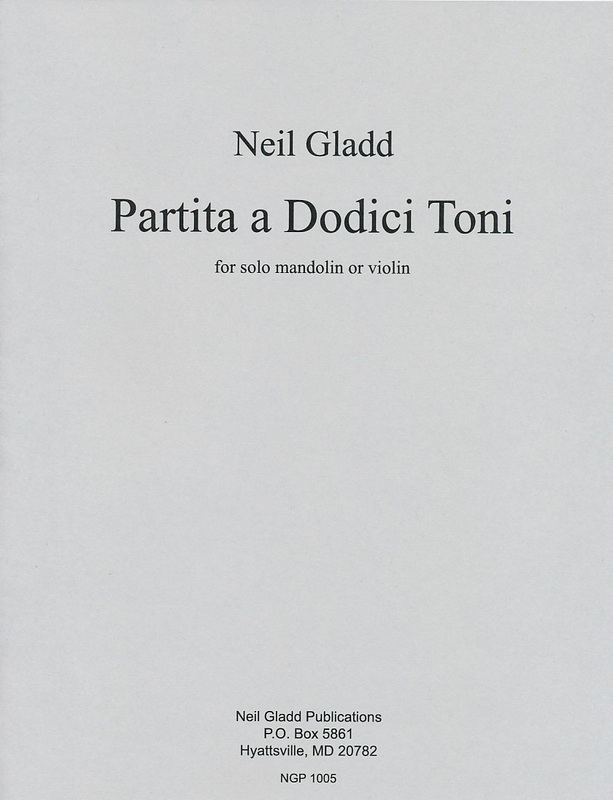 The Partita was previously published by Plucked String Editions in 1984 as PSE 012 and recorded on the LP, "The Solo Mandolin: Baroque to Modern." The music and program notes have both been reedited in this edition.